1A denture is made from hard-wearing material that mimics the look of teeth and gums to give your mouth a natural appearance. 2After impressions are taken, a denture is designed in a dental laboratory. 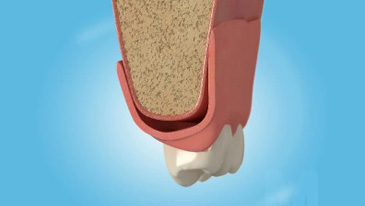 3Dentures are made to fit snugly on your gums and you will be able to remove them for cleaning.